Learn what you need to do before throwing away you old computer to make sure nobody steals your stuff. Wireguided – 60 Second Solutions – 1 from Wireguided LLC on Vimeo. If your backup plan consists of shuffling tapes, flash drives,or external disk drives then you should consider online (aka Cloud) backups. Wireguided’s Online Backup Solution costs as low as $600 a year and backs up databases, mail servers, and everything else. All information is encrypted before it leaves your network. In case of a major disaster you can download your data from any Internet connected computer or have information sent to you next day on an external disk drive. One of the most overlooked parts of IT from the business owners perspective is employee Information Technology training. Either there is no in-house person with the knowledge to do the training or it is just not part of the new hire / yearly review process. This is unfortunate as just a little bit of employee IT know-how can have a big performance improvement for your business. Think of all of the times an employee (or yourself) had a computer problem and just sat there waiting for someone to fix it? Time is money so let’s list some quick topics and tips that you can use in your business. Yes, this is a very obvious thing to do for most people but I cannot count how many times a simple reboot fixed a show stopping problem. No matter what the problem try a simple reboot. Also, have your employees turn their PCs off when they leave for the day (if they do not need to get to it remotely). By doing this you can extend the life of your hardware, lower your electric bill, and keep things running smoothly. With modern desktops and servers you can do this automatically on a schedule. Your employees are your first line of defense. It only makes sense to give them a little training. Do your employees know how to properly dispose of private data (yours and your customers)? They should if you want to avoid being put out of business due to fines and penalties (see: 201 CMR 17). Are they trained to question people who walk in the door (even if they are wearing a suit) or not let people in behind them. Do they know NOT to click on any attachment or link in an email? What about the rules for bringing in their own (possibly virus infected) laptops into your office? Take 30 minutes of sit down time and train train train! You may be the boss but your employees may know a heck of a lot about the day to day issues and problems that you are not informed of. Don’t just put aside complaints about speed or performance. These could be productivity killers. Does an employee complain about their PC that takes 20 minutes to boot up? Now who else has that issue? Now combine the wasted time and see how much money is going out the door while they sit and wait. Maybe some new hardware is needed or just a PC cleaning. Take the time to find out. It will make everyone happier and more productive. Now I could go on and on. Use these quick topics / tips as a starting point and go from there. If you or your business need more information on educating employees please contact Wireguided. 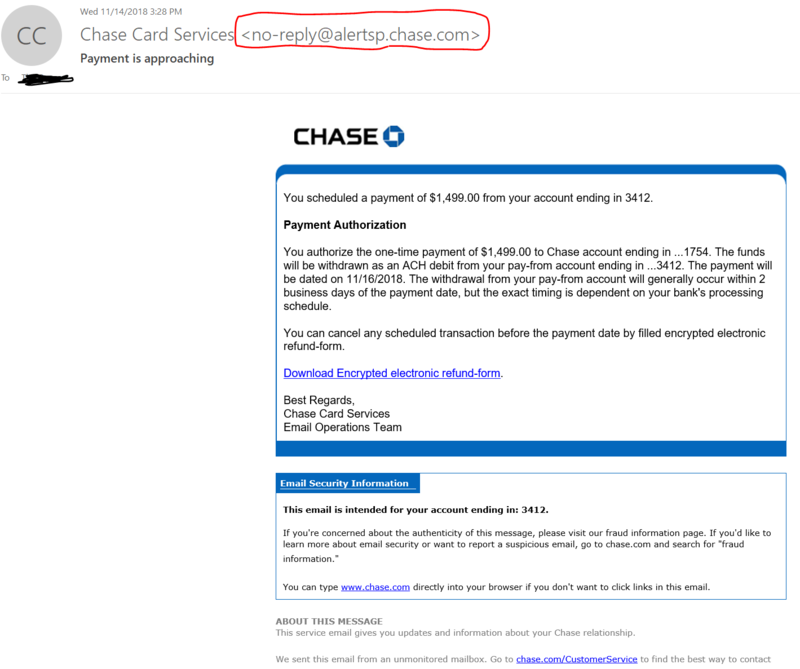 The first in our new series of Video TechTips will show you how to spot a phishing email. If you have a PC (or even a Mac), you may know someone who has been a victim of malware that pretends to be a virus scan. What make this a nasty piece of software is that it makes your system unusable until it is removed. Let’s show you what it looks like and how to remove it. The video below shows a sample website that is trying to get you to infect your system. A keen eye will notice that the ‘virus scan’ is actually happening inside your web browser and not your PC. The site is trying to trick you into installing the software that will really infect your system. So what do you do? Well, just close your browser (if you can). If not reboot your PC or more advanced users can kill the web browser process via CTRL-ALT-DEL. Just do not click on anything or agree to download any file. If you follow the above directions, you are safe and no infection will occur. If by accident you panicked and installed the ‘anti-virus’ software there are a few ways to remove it. The most basic way is to have your IT staff reboot the PC and then log into it as a different user that has admin privledges. Once logged in, run a Malwarebytes to remove the software. I also recommend running CCleaner to clean up temp files where more malware may lurk. If you cannot log in as another user, boot the system into safe mode and run the software above. NOTE: Sometimes the malware removal may remove how the system understands how to execute files. If this happens you will need to download a tool that will rebuild that connection from another PC and run it from a flash drive on the repaired system. If you have any questions or need assistance in removal, future prevention, or employee education please contact Wireguided. As we close out another year many businesses are in the process of preparing their budgets for 2011. This article lists a few Information Technology items you may want to consider including in your budgeting plans for next year. Did your company grow or shrink last year? How many computers are being used? Do any employees work from a home office? Did your organization stop using a specific product? These are some general questions you should ask to determine the status of your software and support licenses. Make sure you only pay for what you are using (and ensure you’re compliant as well). In this economy, many businesses are holding off on computer upgrades (‘if it ain’t broke, don’t replace it’). However, the cost of owning a PC rises dramatically after three years. Look at your inventory and count how many computers you have over four years old. Multiple that by $600 for a ballpark estimate on the cost to replace them for your budget. Identify your most productive employees and pick them for an upgrade first. Productivity increases (and happy employees) make for a more profitable business. What is your IT budget? How much of that goes towards payroll? Depending on your situation you may be able to lower your costs for support by up to 40% by outsourcing. Wireguided would be more than happy to provide you with a evaluation of your current situation. When is the last time you examined the back end of your infrastructure? Your servers keep everything running so it is always good to budget for upgrades (software and/or hardware). Ask your IT staff if there will be a need for more memory or disk space. Are any of your service warranty’s expiring? Are there new versions of software that can make your business run smoother? If your servers are more than five years old, it may also be time to think about upgrading them. Is accessing your files or the internet slow? Is your wireless network upgraded for the new wireless standard (802.11n)? Speak with your IT department to see what upgrades are needed. Also, review your contracts with your Internet provider to make sure their are not any better deals out there. Was 2010 full of spam and virus/spyware outbreaks? If so, you may want to budget for some more effective software. When was the last time you had a security audit? Is your business compliant with 201 CMR 17 (MA only)? Budgeting for audits and compliance may save you downtime and legal headaches down the road. If your phone system is showing its age a new one might be worth considering. Recent technology will make this cost much less than just a few years ago. Hosted or local VoIP systems are now the preferred way to do this. There are many vendors out there so first evaluate your requirements and your existing IT infrastructure. Then get quotes from multiple sources. Can your employees work from home or receive email on their phone? Mobility can not only improve productivity it can also lower your long terms costs (no need to get more office space if your employees can work remotely). Now is the time to speak with your employees and your management team to see if your current solution (if any) is cutting it and to then budget for what is needed. Do not forget the cost of smart phones and their associated data plans. Save the planet and your bottom line. Green IT can be the answer. By implementing some upgrades in 2011, your 2012 will look much better. Some examples of items to budget for are server virtualization (less physical space needed, less electrical usage), desktop power management software, environmental monitoring, and more efficient designs for data centers. Some other items to consider for your budget are upgrades to Windows 7, migrating to hosted services (offsite backups, email, etc. ), desktop upgrades (memory and software), and an emergency fund for when bad things happen. Every business is different and the above list is not all encompassing. If your organization needs a little guidance on preparing their IT budgets for next year, please contact Wireguided.